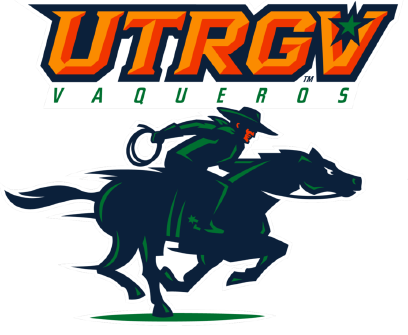 EDINBURG — The UTRGV baseball team dropped the opener of a three-game series to Grand Canyon 8-3 on Friday at UTRGV Baseball Stadium. UTRGV (17-17, 3-4 WAC) scored its first run in the third on an RBI single by sophomore Coleman Grubbs that tied the game at 1. Then, down 5-1 in the fifth, senior Ivan Estrella hit a two-run single to bring UTRGV within two. That was all against GCU (18-15, 9-1 WAC) starter Jake Wong, who was chosen as the Preseason WAC Pitcher of the Year by Perfect Game and Baseball America. UTRGV knocked out Wong after 4 2/3 innings. Nick Ohanian (2-2) came in with runners on the corners but retired sophomore Tyler Torres to end the threat. Ohanian then threw a hitless sixth as three GCU relievers combined to pitch 4 1/3 hitless innings, striking out 10, to end the game. GCU scored against senior Carter Johnson (1-4) on an error in the first. Johnson settled down for a few innings, retiring eight in a row entering the fifth, but that’s when two singles and a pair of ground balls led to runs and a two-run home run by Quin Cotton put GCU up 5-1. Then, with the score 5-3 in the eighth, Preston Pavlica drew a bases-loaded walk, and Tyler Wyatt and Marc Mumper hit sacrifice flies to push the game out of reach. UTRGV and GCU play the middle game of this series at 6 p.m. Saturday. The first 100 fans in attendance will get Selena Night t-shirts that celebrate her legacy. Gates open at 5. Fans can look forward to a night full of Selena music, videos, contests, and more. Fans will have the opportunity to win Selena Night T-shirts throughout the game by participating in Twitter Trivia and Selena inspired baseball bingo. Fans will also have the chance to win Selena giveaway items by registering at the iPad station located inside the main entrance. There will be a Selena look-alike contest for children 13 and younger in the following age groups: 1-6, 7-9, and 10-13. Winners will be determined by a panel of judges and announced during the seventh inning stretch. There will also be a people’s choice winner who will be determined by a social media vote via the UTRGV Athletics Facebook page. The winner from each category will receive a collectible Selena cup and be entered for the chance to win a gift certificate to Spa La Posada. All contestants will take home a UTRGV fan pack. Participants will get the opportunity to show off their look by taking the field during breaks in the action.